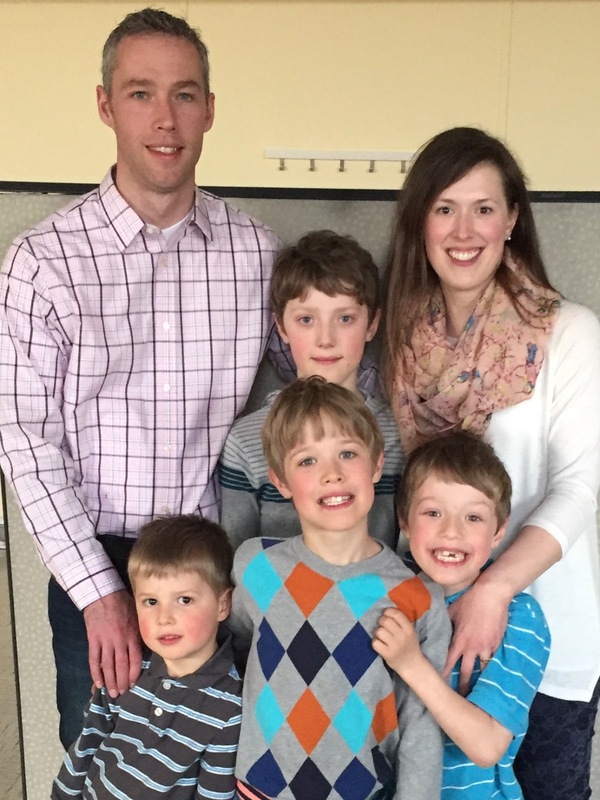 Matt Chaffee, together with his wife and children, have been Child Sponsors since 2014. They support two young Haitian boys, Dominique and Jean, and their families. 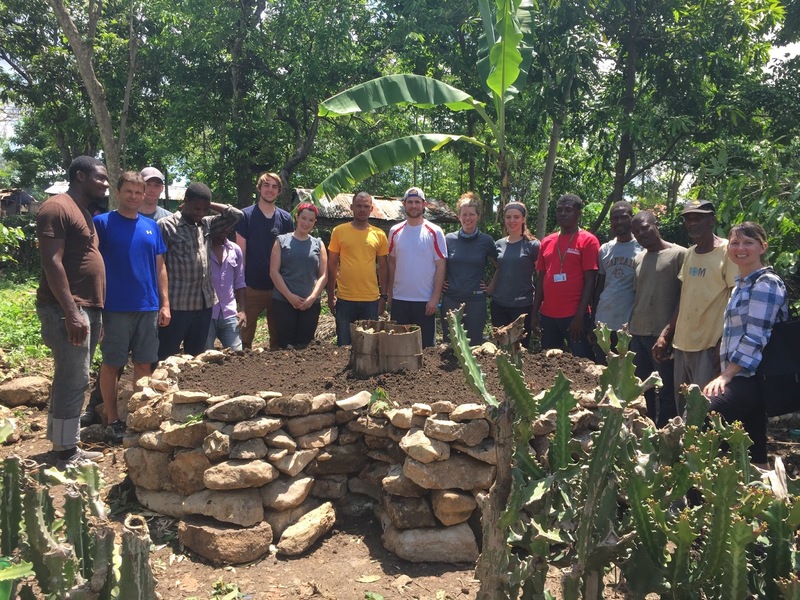 The Chaffee’s church, St. John the Evangelist Anglican Church in Edmonton, AB, is partnered with Cachiman, Haiti, to walk with families as they work to achieve sustainability. 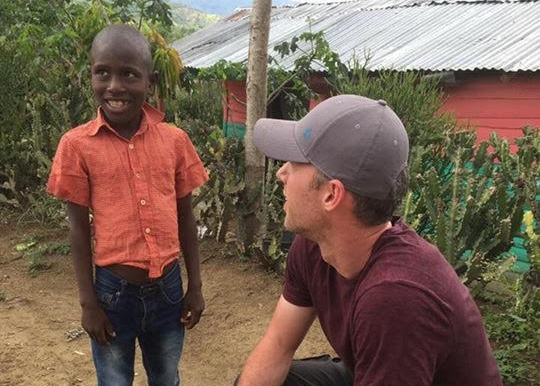 Matt traveled with a team from St. John’s to Cachiman this past April to deepen that friendship. Q. What helped you decide to sponsor a child? 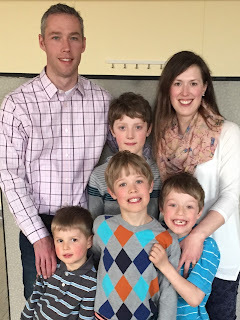 About five years ago, my wife and I first approached our (then) six year-old about saving money to sponsor a child. His initial response was, “maybe we should spend the money on a bouncy castle instead.” After our collective blood pressure recovered, we were able to have a frank discussion with him about what “needs” and poverty were. Armed with this new information, he was able to understand that plights worse than bouncy castle access existed, and even decided to fund raise for our first sponsored child on his own, via a bake sale. Q. Meeting sponsored children and their families is a big part of any team trip. What was your initial reaction? Many members of our team were quite excited to meet their sponsored child. Personally, I hadn’t really taken time to consider the “what now” aspect of meeting our sponsored child: we’ve travelled here - what now? That being said, when we were finally able to develop a rapport with the kids in Cachiman, show them pictures of our families, and play soccer with them, it was a very fun part of the journey. Q. What was that time visiting Jean like? 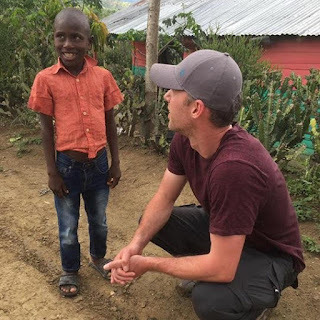 Matt (right) chats with his sponsored child Jean (left). We climbed down the dirt road into the tiny village of Cachiman; it was raining steadily, and we were led by our guide to the front porch of a small 10x10 foot hut. I remember Jean was tiny for a seven year old (smaller than my own five year old). He was dressed in this ill-fitting plaid shirt and old blue jeans that were too short. Most of the conversation happened in Creole via our translator. I showed him a picture of my family, as well as postcards of the Alberta prairies. He was interested but nervous as he took the pictures. It was a lot of pressure for the little guy, to be sitting in a chair meeting these strangers, and he was reticent to speak, at first. Eventually he let it drop that he knew how to ride a motorcycle. He thought it was funny that my own boys would be jealous of his ability to ride, and he warmed up after that. Once we went out to the field with the other village kids to play soccer, he was a whole new kid. He was running, laughing, and doing his best to dominate his visitors. Q. What has been the most meaningful part of sponsoring Jean and Dominique? For us, the most meaningful part of sponsorship has been watching my sons relate to our sponsored children. It’s very easy to lose our perspective on how our brothers and sisters outside Canada struggle. We feel that sponsorship has given us some meaningful dialogue with our children about poverty, giving, and walking through life in community with others. We’re designed to help each other, and sponsoring a child does help. There’s a line in a song by Brooke Fraser: “Now that I have seen, I am responsible. Faith without deeds is dead.” To be there for someone in a helping capacity: that’s our calling. The team from St. John the Evangelist join Cachiman residents to erect a keyhole garden.